Alan Ball has become a name known with ratings-driven projects. 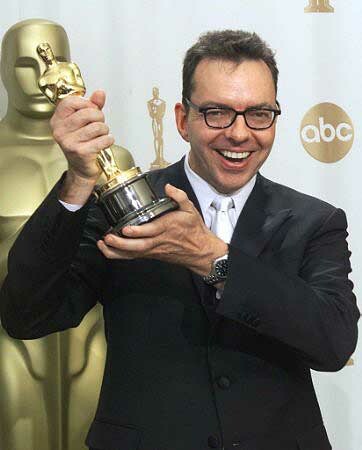 Ball is a talented writer, producer and director of HBO’s smash ‘True Blood‘, ‘Six Feet Under‘ and the Oscar winning ‘American Beauty‘. Ball has been drafting a full-length adaptation for Rodney Sheldon’s book, ‘I Am Chippendales‘. Ben Stiller is in talks to play Nick DeNoia in the film that will give the creation and expansion of the famed ‘Chippendales’ dancers. In November the word was going around that Ben Stiller was to give up acting and move on to a permanent role behind the camera. One look at his planned projects would speak to the contrary. He’s signed on to ‘Zoolander 2‘, ‘Night at the Museum 3‘ , ‘While We’re Young‘ and he’s lending his voice, once again, to Alex, King of the Jungle in ‘The Penguins of Madagascar’. Among these projects, he is hammering out the details to direct ‘The Current War‘. A Michael Mitnick-written fact-based drama about how electricity titans Thomas Edison and George Westinghouse compete to create a sustainable system and market it to the American People. This entry was posted on Tuesday, April 1st, 2014 at 6:32 pm	and is filed under Film, News. You can follow any responses to this entry through the RSS 2.0 feed. You can skip to the end and leave a response. Pinging is currently not allowed. « Peter Capaldi Walks Away From ‘Doctor Who’!! !